Here’s another installment of my Make It Better series. I’m not intolerant to gluten or even sensitive for that matter. I just eat a lot of too much bread and have been looking for alternatives to clean up my diet. So, in my adventures, I’ve made several recipes for cauliflower crust pizza in the last couple years. And I absolutely love it. Some of the recipes have indeed been great. Others, OK. Yeah. Horrible. Along the way I’ve picked up a few tricks of the trade. 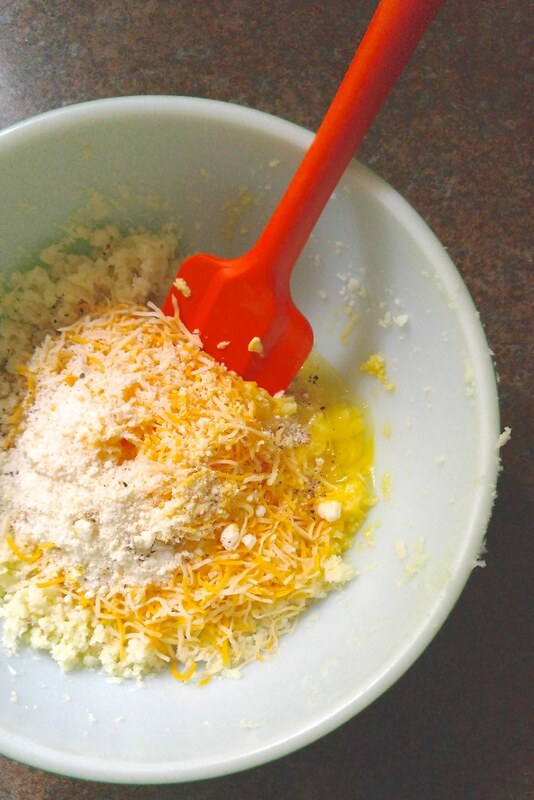 You may encounter a recipe that instructs you to grate your cauliflower. That’s going to make a huge mess. Instead, chop up florets and pulse them into “rice” in your food processor. It’s faster, the “rice” gets much smaller, and you’ll spend less time cleaning up. I know some of you will disagree with me, but I find it much easier to just microwave my cauliflower “rice” while I’m getting other parts of my meal ready. We rarely use the microwave, so I revel in the convenience of it for those 7 minutes. That way, you can keep it all in the same bowl and skip the step of draining from added water. It’s the little things . . .
Once you’ve cooked your cauliflower, let it cool almost completely. But never, and I mean NEVER, skip draining the moisture out. You’d be surprised how much is in there, too. I usually use a clean tea towel and work on my “rice” in batches. I’ll squeeze as much as humanly possible . . . and then return in five or so minutes to squeeze any last bit of water that remains. If you think it’s done, try again. Don’t forget to add salt, pepper, and even herbs or other spices. You want it to taste freaking amazing, right? My favorite recipe calls for a good amount of cheese in the crust, and I think it’s worth the add-in. So, I just skimp on any added cheese atop the pizza and opt instead of lots of roasted veggies and good sauce. Versus where the bread is sort of in the background in a lot of pizza recipes, the cauliflower can be one of the highlights of the entire meal. A few of the recipes I’ve followed have said to use greased aluminum foil as a surface for cooking. Please, please don’t do this. Ever. I’ve tried twice with disastrous results. You will likely be so sorry. Parchment (or maybe a silicone pizza baking mat) will keep your pizza from sticking. If you’re out of parchment (like I often am) try a well greased baking pan before skipping to aluminum. Like I said, I’ve tried several different recipes, but this one on PopSugar is by far my favorite. Usually we’ll make two pizzas -- one for me + Ada, one for Stephen -- and I’ll cut the cheese almost in half when doubling. For toppings, we often use BBQ sauce for sauce, a medley of roasted veggies (I roast while preparing the crust // before putting them on the pizza), fresh tomatoes, a little ricotta, and then chopped basil from the garden. 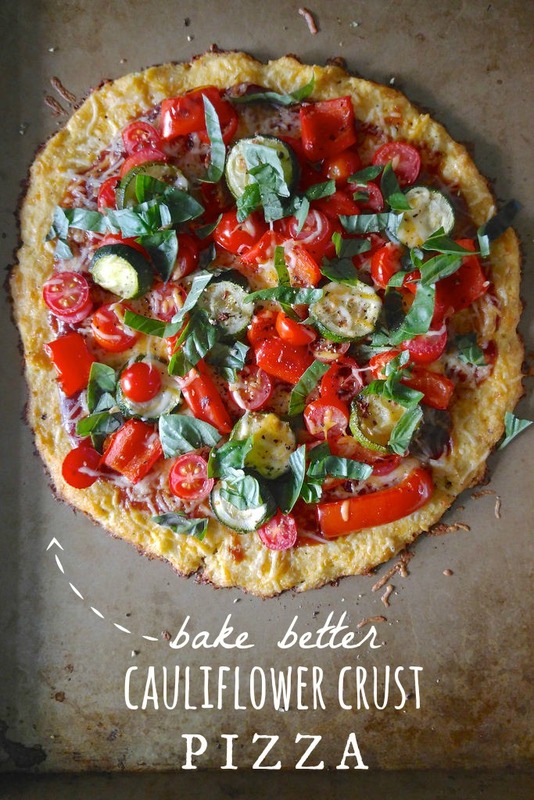 Do you have any cauliflower crust tips to share?